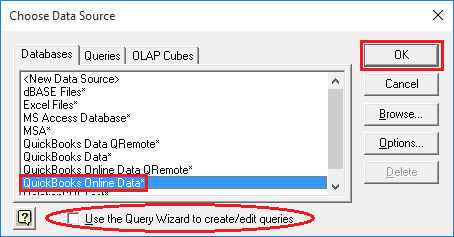 In the "Choose Data Source" Window, Select the QuickBooks Data DSN you set up with the QODBC driver. 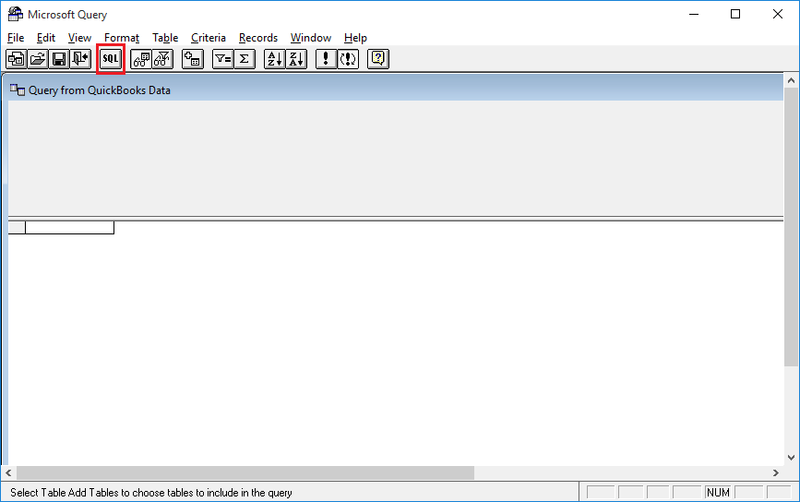 This is one of our pre-installed DSN names or one that you have created. 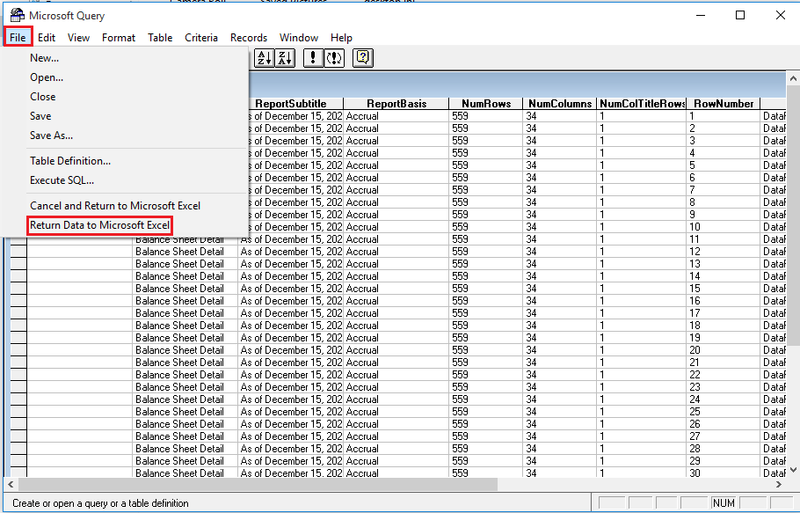 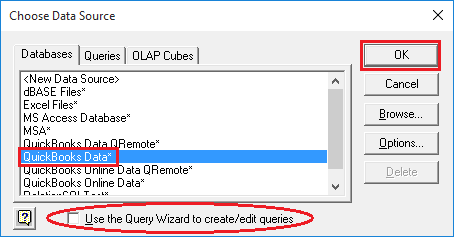 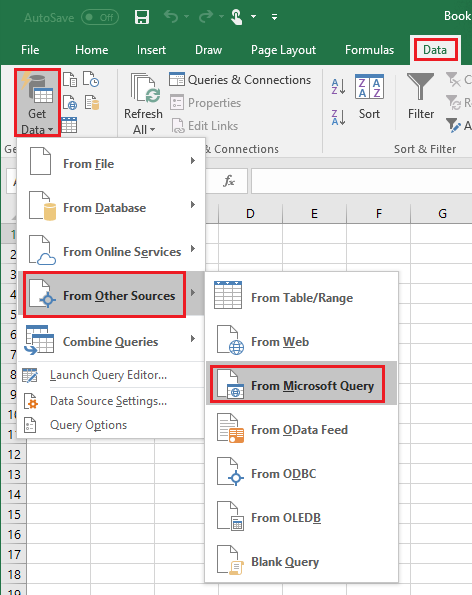 Note: Uncheck option "Use Query Wizard to Created/edit Queries" since we do not need to import any tables here. 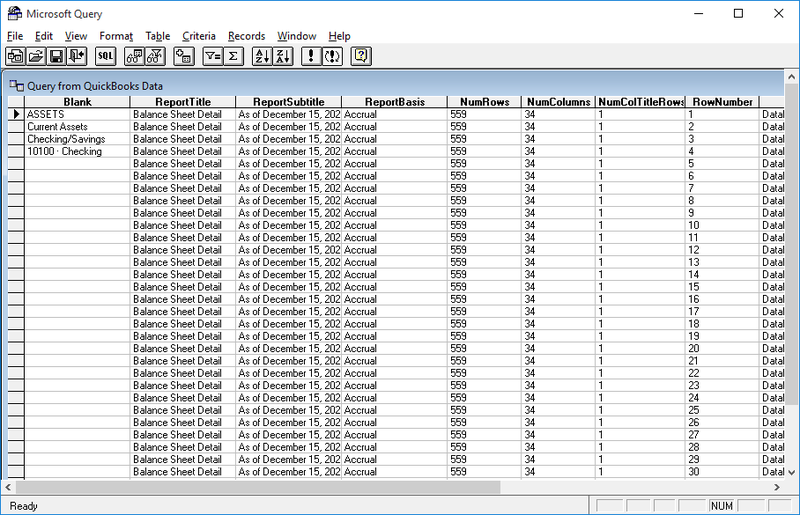 Note: For using QuickBooks Online report, you need to Select the QuickBooks Online Data DSN. 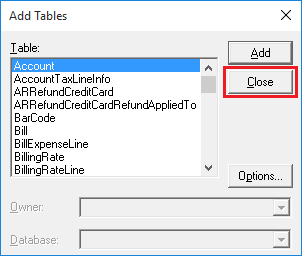 Close the "Add Tables" window by clicking the "Close" button. 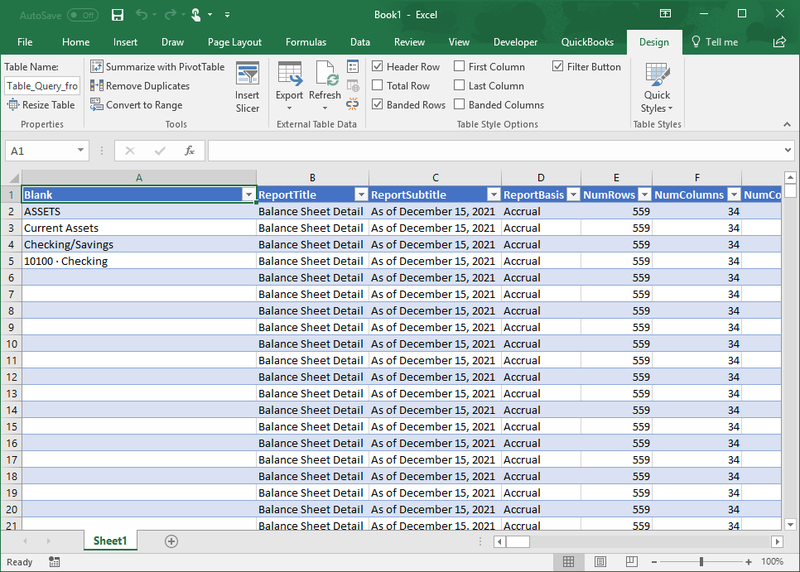 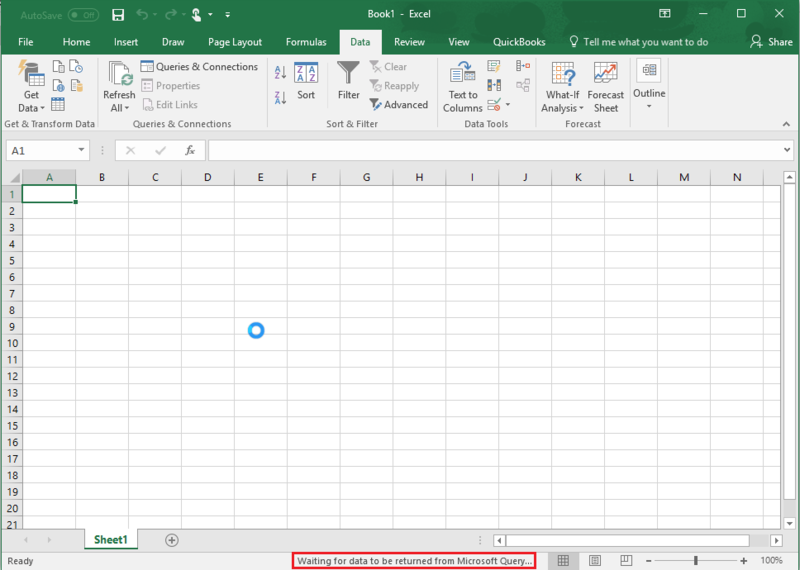 To return records to Excel Spreadsheet, select Menu File -> Return Data to Microsoft Excel.